In Windows or all the modern era Operating Systems, there is a division between the code operating which is “User Mode” and the other one is known as “Kernel Mode”. While at the other side, all the computer processors have different modes of operation which are termed as “Rings.” Any particular type of ring has its own instructions and memory available to run the certain type of code. Let’s take a look at the Intel CPU’s, it has four rings where the first one is named “Ring 0” (also known as kernel mode). This is the one in charge of operations and has full access to use every available resource. It is the mode in which the Windows Kernel runs. When the Windows Operating System is just about to boot, the Windows Kernel is started. It runs in Kernel mode and creates up Paging and the Virtual Memory. Usually, most of the programs launch in the Kernel mode. When they overwrite each other’s memory, it results in some crashes and even in the crashing of the entire system. This is known as KMODE_EXCEPTION_NOT_HANDLED, a type of Blue Screen Of Death Error with the Bug Check Error Code value of 0x0000001E. The major reason behind this error to appear on your monitor’s Screen is that a Kernel Mode Program is causing an exception, which the error handler is not able to identify. The exception produced by a Kernel Mode program is not handled well by the error handler and this is indicated by the STOP error 0x0000001E. It may also indicate that some driver complications are faced by the system. In a very simple language, it is possible that your computer’s Windows, Drivers, Registry or maybe some Software is corrupted, resulting in this issue. A Faulty RAM or an outdated or corrupted driver is the most common cause of this issue. However, the list of reasons is still vast and we don’t need to learn about them all. Step-1: Firstly, go to Control Panel. Then locate and click on System and Security and then on Power Options. Step-2: Now Select Choose what power buttons do. Step-3: Then Click on Change settings that are currently unavailable. Step-4: Finally, just Uncheck the box next to ‘Turn on fast start-up’ and Save the changes. This might have solved your problem. You can now continue to use your PC without being annoyed by the BSoD. If in case the Blue Screen is still appearing on your screen, try the next mentioned method. Step-1: Firstly shut down your system and Boot it into Safe Mode. You can do so by pressing the F8 key while Windows is starting up. NOTE: Booting into Safe Mode is essential as Blue Screen won’t let you complete this procedure in Normal Mode. If you are facing any issue Booting in Safe Mode, just Google out the procedure for your OS. Step-2: After the Windows has started in Safe Mode, press the Windows + X key simultaneously. From the appearing Sidebar, choose Device Manager. Step-3: In the Device Manager, locate and click on Other Devices to expand it. Now find and right-click on Unknown Device, and then click on Update Driver Software… option. Step-5: Wait patiently till the drivers are updated. Afterwards, restart your computer. This surely has fixed the issue on your PC. However, if the problem still persists, move down to the next method and resolve your issue using it. After following these steps you won’t be facing KMode Exception Not Handled during Install or overclock error. Computer enthusiasts are well aware of Razer and their products. Razer mouse and Razer keyboard are the two most popular Razer products. The best aspects of Razer products are their versatility and reliability. If you are a frequent Razer products user, you must have used Razer Synapse. 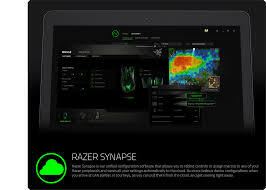 It is Razer’s cloud-based unified configuration software to manage all the other Razer devices. However, sometimes Razer Synapse might create some issues and stops working. The scenario gets really frustrating then. Therefore, in this article, I will demonstrate How to Fix Razer Synapse not Working in Windows 7/8/10 in some very simple ways. Razer Synapse is Razer Inc.’s cloud-based unified configuration software that allows you to rebind controls or assign macros to any of your Razer devices. Additionally, it saves all your settings automatically to the cloud. Basically, it helps you to manage all other Razer devices that you use like Razer mouse, Razer keyboard, etc. It helps you to avoid boring device configurations when you arrive at LAN parties or tourneys, as you can retrieve them from the cloud, and own them right away. Razer Synapse’s another advantage is that it keeps your devices in optimal condition by automatically updating and downloading driver and firmware updates, as they become available. The notable thing is that Razer Synapse is not a compulsory software for your Razer hardware to work, but it is advisable to use Razer Synapse if you wish to unlock your Razer peripheral’s full potential. As I explained above, Razer Synapse is a very beneficial thing for Razer hardware users. However, sometimes Razer Synapse starts creating conflicts. As Razer Synapse manages all the other Razer devices, the situation gets really annoying when it stops working properly. This simply ruins the overall user experience. There are certain reasons for Razer Synapse not working properly but the major one is outdated or corrupted drivers. Other reasons include corrupt system files, virus or malware or just a bad internet connection. In case of a bad internet connection, Razor Synapse not working can be solved easily by switching to a good internet connection. However, if the problem is caused due to any other reason, you must fix Razer Synapse not Working problem manually. If this is the case, let’s move further to the working methods to fix Razer Synapse not working problem. There are 3 methods available to fix the Razer Synapse not working problem. You don’t need any special tools or information to use these. Just follow the step-wise guide that is present below each method. You can try any of the methods selectively, or you can try them one by one. Let’s proceed to the methods to fix Razer Synapse not working problem. Step-1: Firstly, press & hold the Windows logo key + R key to trigger the Run dialog box. Type devmgmt.msc in it and then hit Enter. Device Manager will open up. 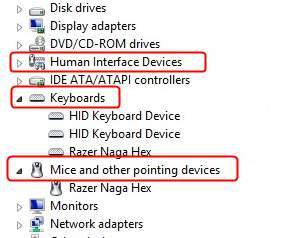 Step-2: Now find and click on Human Interface Devices, Keyboards, Mice and other pointing devices sections to expand them. 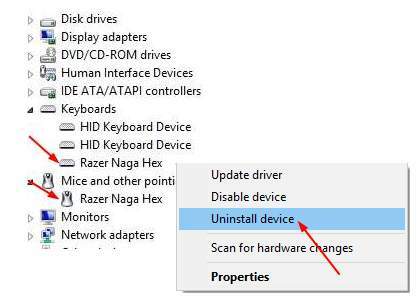 Step-3: After that, right-click on each Razer device and then click on Uninstall device. Remember to select delete drivers as well when uninstalling. 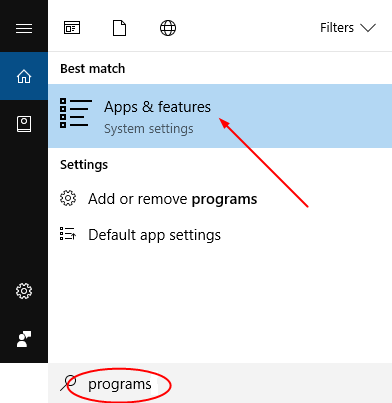 Step-4: Afterwards, go to the Search bar from the Start menu and type programs and then click on Apps & features from the resultant list. 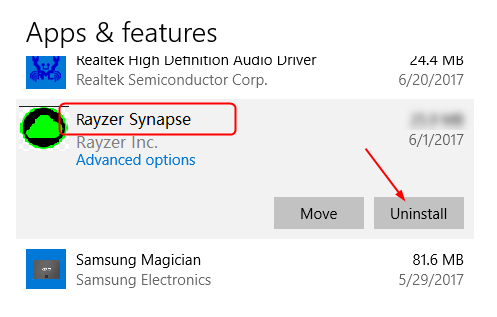 Step-5: Locate Razer Synapse there and click on Uninstall. Step-6: Now remove all your Razer devices from the computer. Keep them disconnected for 5 minutes. Then plug them back to the computer. Step-7: Windows will then automatically install all the required device drivers. Also, Razer Synapse will also appear. Let it download and then install. Finally, check if Razer Synapse is working fresh and fine now. Step-1: Firstly, press & hold the Windows logo key + R key to trigger the Run dialog box. Type “appwiz.cpl” in it and hit Enter. Programs and Features window will open up. Step-2: Locate Razor Synapse and Razor Core, right-click on them and then click on Uninstall. Step-3: Navigate to C:\Program Files (x86)\Razer and C:\ProgramData\Razer directories and delete all the files present there. Make sure to unhide the files first and then delete them (click on View and check the Hidden items box). Step-4: Restart your computer after deleting the files. 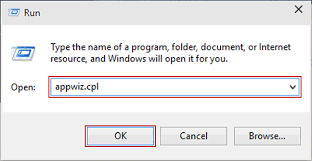 Step-5: Press & hold the Windows logo key + R key to trigger Run dialog box. Type devmgmt.msc in it and then hit Enter. Device Manager will open up. Step-6: In the Device Manager, locate all the Razer devices and right-click on them. Then select Uninstall device and remember to check the Delete the driver software for this device box while deleting. Step-7: Unplug all the Razer devices from the computer. Keep them disconnected for about 5 minutes and then plug them back again. Windows will then install their drivers automatically again. Step-8: Turn off the firewall and antivirus software. Install the latest version of .NET Framework from here. Step-9: Download Razer Synapse from the official website and check if the problem is solved. However, Razer Synapse will also be installed automatically along with the drivers. Step-1: Firstly go to Control Panel and then to System and Security. Step-2: Now click on Windows Updates section. Step-3: Then just click on Check for updates and let Windows find and install (if available) updates. These were the 3 best & easy methods on How to fix Razer Synapse not working or won’t open problem without any struggle. If you applied the suitable method properly, you would be using Razer Synapse and other Razer devices smoothly. One more way to get rid of the Razer Synapse not working problem is by disabling Razer Surround. Screensavers are a visual treat and there are plenty available all over the Internet.. It gets activated when the computer is not in use for a particular period of time. The idea behind this originally was to prevent phosphor burn-in on Cathode Ray Tube and Plasma monitors. But since now most of us use LCD monitors, they are used mainly for entertainment or security purposes. Under Screen Saver, in the drop-down list, click the screen saver you want to use. Click Preview to see what your chosen screen saver will look like. 1. Right click on the desktop and select Personalization from the drop down menu. 3. When the screensaver window opens, click the arrow to the right of the Screensaver dialogue box. 4. From the screensaver drop down menu, select None. 6. Close down the personalization window. 7. Your screen saver is now disabled. Step 1: Open Registry Editor. To do so, type Regedit in Start menu or taskbar search box and then press Enter key. Registry Editor can also be launched by typing Regedit in Run command box and pressing Enter key. Step 3: On the right-side, look for the entry named ScreenSaveActive, double-click on it, and set the value to 1 (one) to enable screen saver and make it 0 (zero) to disable. Note that if the ScreenSaveActive string value doesn’t exist, right-click on the empty area, click New, click String Value and name it ScreenSaveActive. We generally use a secure Wi-Fi connection at our home/office. So, if we get a “No internet, Secured” error, this could be because of an invalid IP configuration. Maybe something changed the settings. here is what you can do. Unplug the power cable for the modem from the power source.Some modems have a backup battery. So if you unplug the modem and lights stay on, remove the battery from the modem. Wait at least 30 seconds or so.If you had to remove the battery from the modem, put it back in. Plug your router back into the power source.Wait a few minutes for the modem and router to fully power on. You can usually tell when they’re ready by looking at the status lights on the two devices. At the command prompt, type ipconfig.Look for the IP address listed next to Default gateway. Write down that address if you need to. For example, 192.168.1.1. You can use DriverEasy to update your driver . If it doesn’t change for the moment, try to disable and then enable your connect . If you don’t see the network name, sign in to your router and check to see if it’s set to broadcast the network name. Select the Start button. Type cmd in the search box and right-click cmd in the list. Select Run as administrator, and then select Yes. At the command prompt, type ipconfig /all.Write down the address that appears next to Physical Address for your wireless network adapter. This is the address you’ll need to add to the access list on your router. This system process “enables installation, modification, and removal of Windows updates and optional components”, according to its service description. Windows 10 automatically installs operating system updates via Windows Update, so this process is likely just installing updates in the background. However, if you choose to uninstall an update or add or remove an optional Windows feature, the Windows Modules Installer Worker process will also need to do some work. 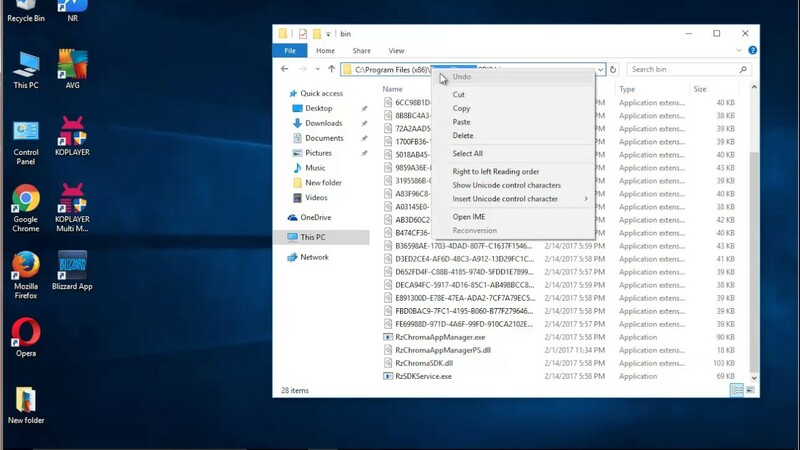 While the process is named Windows Modules Installer Worker on the normal Processes tab in Windows 10’s Task Manager, its file name is TiWorker.exe, and you’ll see that displayed on the Details tab. However, Sometimes this process gets messed up and results in a high CPU usage. Also, sometimes it reaches >50% of CPU usage. Consequently, this process causes load on the system, thus hanging or freezing all the other processes. Slowed down PC or Frozen computer are the symptoms of this issue. Unlike other common errors, restarting the PC won’t work in this case. You must resolve this issue manually as it is not able to fix by itself. Preventing Windows Modules Installer Worker from working is not a solution to its high CPU usage problem. As updates are essential. Instead, I have compiled 3 working and simple solutions for you. You don’t need a bag of full of computer knowledge or tools to use them. Just follow the step-wise guide that I’m providing. Let’s move further to the solutions for Windows Modules Installer Worker high CPU usage problem. Step-1: Firstly, press the Windows + R key simultaneously in order to trigger the Run dialog box. 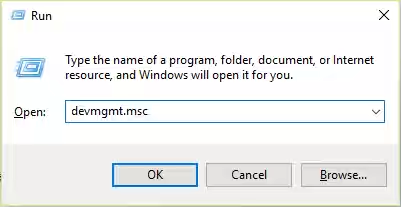 Type services.msc in it and click Ok.
Step-2: In the Services window, locate and double-click on Windows Modules Installer. Its Properties window will open up. Step-3: In the resultant window, go to Startup type and change it to Manual. Startup type will be present under the General tab. Afterwards, click on Apply and then Ok.
Step-4: Now go back to the Services window again. This time double-click on Windows Update. Its Properties window will open up just like earlier. Step-5: In the resultant window, go to Startup type and change it to Manual. 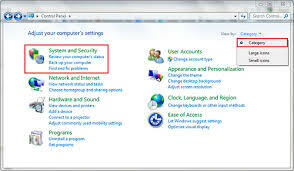 Then click on Apply and then Ok.
Step-6: Restart your PC. Check if your problem is solved by accessing the Task Manager (Start Menu-> Task Manager). After the successful application of this method, Windows Modules Installer Worker CPU usage would return back to its normal value. This is the most accurate and easy method to resolve this issue. Step-1: Download Windows Update Troubleshooter from here. Step-2: After setting it up, run the WindowsUpdateDiagnostic.diagcab tool. Step-3: The tool will resolve issues by checking registry keys and certain other things. Therefore, the process may take some time. Have patience and wait until the process is complete. Step-4: After the “Troubleshooting has completed” message appears on your screen, click on the Close button. Step-5: Restart your computer. Check if your problem is fixed by accessing the Task Manager(Start Menu-> Task Manager). 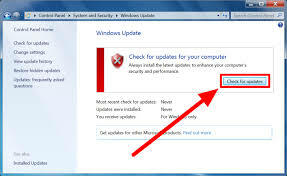 After you use Windows Update Troubleshooter properly, it will fix all the Windows Updates related problem including, Windows Modules Installer Worker high CPU usage. The computer will start working normally. Anytrans License Code from iMobile is a video & music conversion app and transfer software for iOS Devices. With renewed design and a new pair of features, AnyTrans allows you to manage your iPhone, iPad and iPod touch content in a significantly easier way, saving you both time and hard work. coordinate, enjoy and share the occasions you snapped. Presume, through just a few clicks, you’ll be able to transfer thousands of photographs or even your complete library between iPhone, Apple iPad tablet and computer, all at once. It makes any videos properly fit on your display, automatically. Ultra-modern design, super-fast music syncing speed, in addition to a nature of made-only-for-Apple-device, AnyTrans opens up a whole new way to manage your iPhone, iPad, iPod and iTunes media in a way you even think impossible. Backup & identical copy not only your programs, but also everything inside – It’s a neat interface, convenient options, and many behind-the-scene technologies which make AnyTrans instantly elevate your App managing experience. Not any matter you want to install or uninstall an app, create iPhone app back up or carry through data migrations, AnyTrans will get it done, just at one go. 1 First of all of all Download AnyTrans Setup which is given above. Installment payments on your Install It and Start this software as normal. Use iMobie AnyTrans license code to Activate. Hold out a minute for the activation reply. Why Replace “Photos” App on Windows 10? Microsoft replaced our beloved “Windows Photo Viewer” in 2015 edition of Windows 10. A lot of people were confused, including me. As “Windows Photo Viewer” was a powerful and amazing software that fulfilled every requirement of the users who used it. The software was replaced by the “Photos” app. People did not accept this change wholeheartedly. a basic software that lacks some needed features. only good enough to view pictures, and not tweak them. heavy power consuming and loads pictures relatively slow. Windows Photo Viewer is the built-in app for viewing your photos in Windows. Almost all formats of images are supported by Windows Photo Viewer. But in Windows 10, Microsoft has confused its users by providing another photo viewer called Photos, which is not liked by users as they are used to with Windows Photo Viewer. XnView is a fast image viewer third party tool that provides you many features as like Windows Photo Viewer provides. You can use it in a portable version also. The image rendering quality is very good and fast as compared to IrfanView, but it’s most of the features are same of IrfanView viewer. XnView supports more than 500 file formats. Therefore it is able to open almost any type of image that you have on your PC. The image rendering quality is very good and fast and it also has a multi-lingual user interface. This third-party tool is a lot like IrfanView. You can use it in a portable version too. Some other great features include viewing images in several ways, such as standard Thumbnail view or FullScreen view. Nomacs is a free and open source photo viewer with clustered of features and functions. You can use it on almost every Operating System. It supports almost all image formats including RAW and PSD images. Nomacs makes you able to view the metadata, thumbnails, and histogram of your images. Nomacs includes image manipulation methods for adjusting brightness, contrast, saturation, hue, gamma, exposure. It has a pseudo color function which allows creating false color images. A unique feature of nomacs is the synchronization of multiple instances. With this feature you can easily compare images by zooming and/or panning at the exactly same position or even by overlaying them with different opacity. Nomacs is licensed under the GNU General Public License v3 and available for Windows, Linux, FreeBSD, Mac, and OS/2. It is free for private and commercial use. As like Windows Photo Viewer, Nomacs supports almost all types of image formats. See your multiple images together in a Slide Show with Nomacs. And you can edit your photos with basic editing tools like cropping, rotating and resizing as like you can do with Widnows Photo Viewer. IrfanView is a photo viewing and editing software that probably all of the advanced users are aware of. This software worked great on the older versions of Windows and performs amazingly on the newer versions as well. The owner has improved the software with his immense hard work completely free of cost. The major specialty of IrfanView is its vast range of options and preferences making it a very configurable software. FastStone Image Viewer is a fast, stable and reliable image viewer, image browser, image editor and image converter. It is a freeware and open source tool. FastStone supports a large number of image formats. It has basic editing tools that can help you on cropping, rotating, resizing your images. It also removes the red eye from your images. Drag/Drop and Copy/Move feature is available for users convenience. Versatile screen capturing facility is available in FastStone Image Viewer. Different effects and transitions are provided in this viewer. You can apply multilevel undo or redo with your images. The Picasa Photo Viewer is a fast, stable and cool looking image viewing software for Windows. This Photo Viewer has a similar feeling to a media player as it is way too different than a simple picture gallery. You can press Enter key on your keyboard to see any image in fullscreen mode, and you can start a slideshow also with just a single click. Imagine is very fast and lightweight photo viewer among all. It is freeware third party image viewer. It supports a large number of image formats. You can view detailed information of your image files. It supports ZIP, RAR, 7Z, ALZ, HV3, CBZ, CBR, and CB7 files. Imagine has multilanguage support. Both 32bit nad 64-bit versions are available. It helps you to capture your screen, create animations. Batch conversion is also supported. View your images together in a slideshow with Imagine. Windows 10 comes with Encrypted File System (EFS) which allows users to encrypt their data in a particular folder or drive. This is especially useful when you want to keep your data private only such that it is accessible from your Windows account only. No one else will be able to open the encrypted files or folders. EFS is available for all editions of Windows 10 except Windows 10 Home edition. The EFS option is very easy to get access to by just going to Properties of a particular folder and check a check-box that says “Encrypt Contents To Secure Data” in the Advanced tab. Sometimes, this option is grayed out and you cannot encrypt data in this scenario. This issue is usual and can occur to anyone, as it arises due to misconfigured of registry values. If “Encrypt Contents To Secure Data” option is grayed out, the following solutions may be helpful in making it work again to start encrypting your personal and private data. You can use Windows Command line to make the encryption option available for you for any of folders on your machine. You just have to run a simple and easy command. And your problem will resolve quickly. To do this, go with few below steps. Press Windows + R, then type services.msc. Double-click on Encrypting File System (EFS), under General change the Startup type to Automatic. 1.Open Run dialog from the Start Menu and type “regedit” in it to open Registry Editor window. 2.Now move into following entry in the Registry Editor window. 3.Expand File System key to right-hand window, and look for the key named NtfsDisableEncryption. Double click on it, and set its value to 0. 4.Save the settings and close all open windows. Go back to “Properties\Advanced\Advance Attribute” option of your required folder which you want to encrypt. The option of encryption will no longer be grayed out. The solutions are simple and easy to use. You can pick any solution as both are tested and verified. Don’t put your data at risk, and start securing it immediately by encrypting sensitive and important data. We have already given a solution to enable Group Policy Editor (gpedit.msc) in Windows 10 Home Edition. But that solution is old and many people are complaining that they are not able to enable the group policy editor even after after the method. 3.This will start the installation process. The process will take a few minutes to install group policy features. At the end, simple press any key to close the command prompt window. 4.Now go to Run –> gpedit.msc. This should open group policy editor. 5.Although a restart is not required, but you may restart the computer if it’s not working for your right away. Cisco AnyConnect Secure Mobility Client is a web-based VPN client from Cisco. AnyConnect is not limited to providing only VPN functionality but it also comes with other features which enable an enterprise to secure its endpoints. Other features of AnyConnect include telemetry, web security, network access management etc. Cisco AnyConnect is a web-based VPN client which does not need any client end configurations. In this article, we will share the download links to the latest version of Cisco AnyConnect Secure Mobility Client. It is only useful for those who are already using Cisco services. Before installing AnyConnect, you will need to install Java as the VPN client runs on Java platform. If you are using hardened security in Windows 10 or Windows Server 2012+, then you will need to add the VPN server URL in trusted sites. Otherwise, Windows will not let you connect to the VPN service through AnyConnect Mobility client. Once you have done the above mentioned steps, the only other step required is to run the Cisco AnyConnect installer and it will start running. There is no user end configuration required. Since there is no user configuration required, it’s easy to run Cisco AnyConnect VPN client. When you install the client, it will come in your All Programs menu in Windows or in the status bar. Just double-click the icon on the status bar to pull up the application. Enter the VPN server URL and click Connect. This will connect you to the VPN server. Now you will be able to browse the resources shared in the remote network.